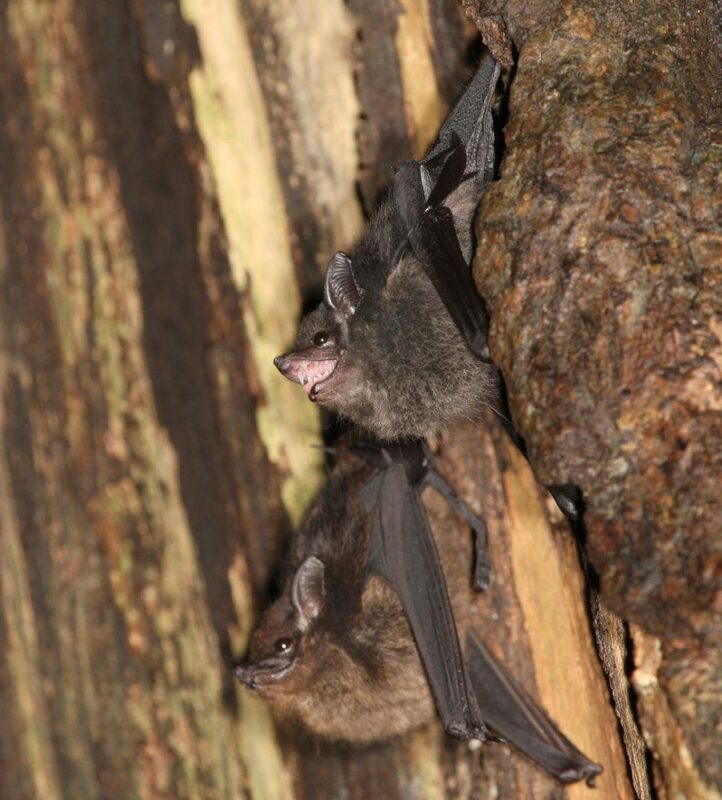 My Ph.D. student Ahana Fernandez studies the ontogeny of the vocal repertoire in bats. Ahana’s particular interest is the conspicuous babbling behavior in which Saccopteryx bilineata pups engage regularly (Knörnschild et al. 2006). During ontogeny, pups of both sexes learn territorial songs by imitating adult male tutors (Knörnschild et al. 2010a). Since precursor songs often appear in babbling bouts, babbling probably constitutes vocal practice (Knörnschild 2014). To date, Saccopteryx bilineata is the only non-human mammal that is both a babbler and a vocal imitator, making this bat expecially well suited for biolinguistic studies. 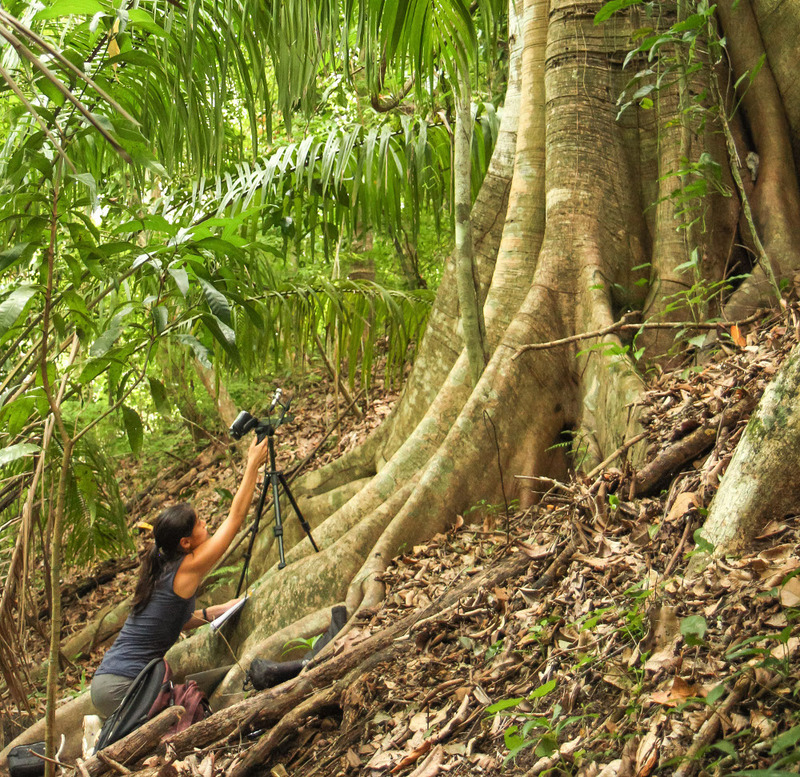 Ahana recording Saccopteryx bilineata pups in a tree (© Stifter). Ahana descibes the ontongenetic trajectories of different syllable types produced by babbling pups. Moreover, she studies the phonological syntax of babbling bouts and uses playback experiments to test whether pups can discriminate between syntactically correct and incorrect babbling bouts. Babbling Saccopteryx bilineata pup roosting next to its mother (© Stifter). Babbling pups utter long sequences of various syllables in a repetitive and juxtaposed fashion reminiscent of human canonical babbling or avian plastic song (Catchpole & Slater 1995, Doupe & Kuhl 1999, Hultsch & Todt 2004). Precursors of all adult vocalization types known to date are found in babbling bouts of pups (Behr & von Helversen 2004, Knörnschild et al. 2006), making it highly probable that babbling plays a crucial role in the species’ vocal repertoire acquisition. Excerpt of a babbling bout from a female Saccopteryx bilineata pup (© Knörnschild). Catchpole & Slater. 1995. Birdsong: Biological Themes and Variations. Cambridge Univ Press. Hultsch & Todt. 2004. Learning to sing. 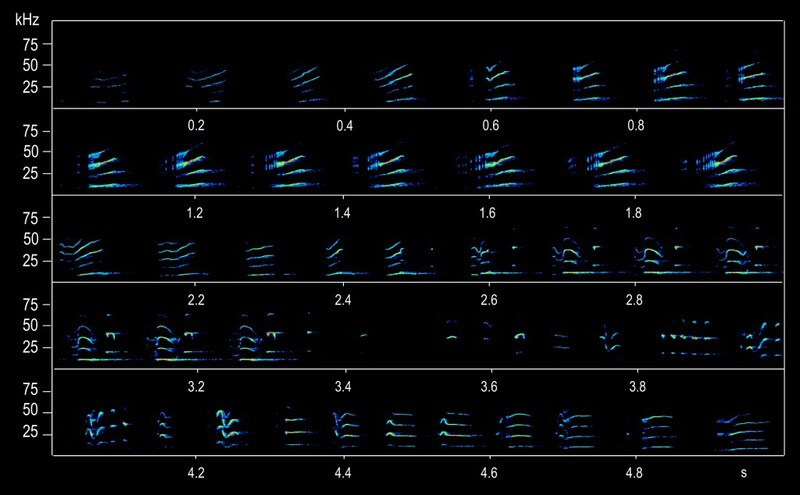 In Nature’s Music: The Science of Birdsong. Elsevier Academic Press.